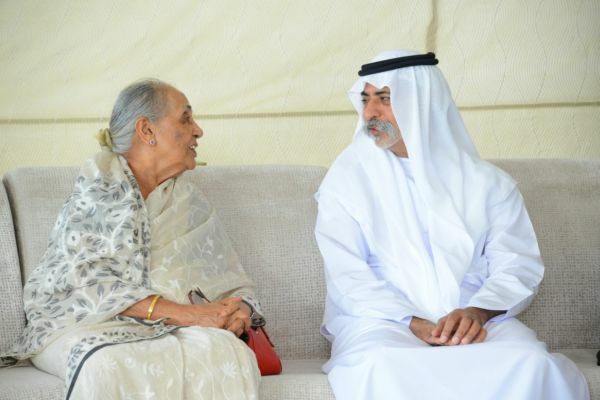 Caption: Dr. Zulekha Daud, Managing Director of Zulekha Healthcare Group is welcomed by His Excellency Sheikh Nahyan Bin Mubarak Al Nahyan, Minister of Culture, Youth and Community Development United Arab Emirates. His Excellency Sheikh Nahyan Bin Mubarak Al Nahyan, Minister of Culture, Youth and Community Development – United Arab Emirates has received Dr. Zulekha Daud, the founder and inspiration behind the respected Zulekha Healthcare Group in the UAE. In August, Dr Daud and colleagues from Zulekha Healthcare Group met Narendra Modi, Prime Minister of India at a reception hosted by the Consulate of India during the Prime Minister’s visit to the UAE.